← Congrats to Sitka School District and Dr. Mary Wegner! 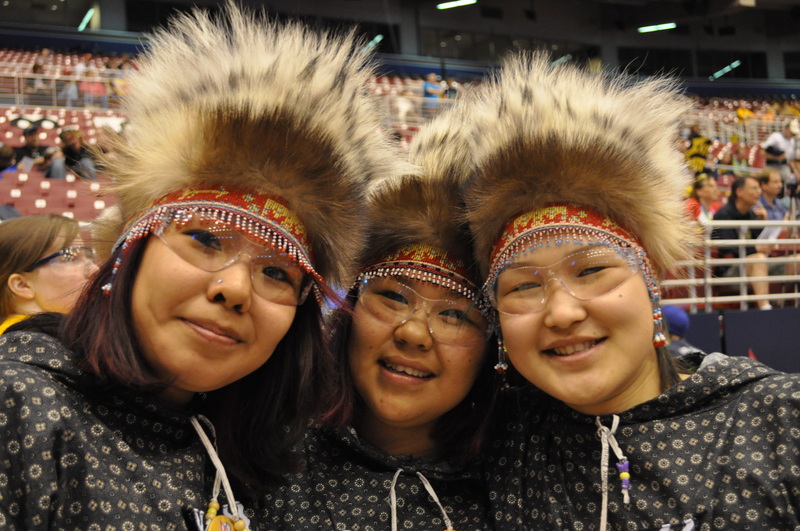 Lower Kuskokwim School District Makes History! AdvancED Systems Accreditation is a highly regarded achievement in education and The Lower Kuskokwim School District (LKSD) just made history by becoming the first school district to receive systems accreditation in Alaska. AdvancED is the global leader in providing continuous improvement and accreditation services to more than 32,000 institutions worldwide. LKSD earned accreditation for a variety of reasons. Specifically, the review team identified three powerful practices. The review team recognized the school board and school district’s commitment to its vision and mission, both of which ensure an education for all students that is bilingual, culturally appropriate and effective. The majority of people in Southwest Alaska are Yup’ik and Cup’ig and the district has many programs that demonstrate respect and celebration for local Alaska Native culture. Additionally, the team of accreditors noted that LKSD had a very impressive state-of-the-art technology infrastructure that supports a variety of online instructional platforms and links a system of 28 schools in a rural geographical area that spans 22,000 square miles. LKSD is about as remote as school districts come. Its 23 communities are spread throughout Southwest Alaska with access only by plane. LKSD is the size of West Virginia and the 4,000 student are spread throughout the community in 28 schools ranging from 15 to 520 students. With such a large terrain to cover, ensuring quality education is challenging. But in partnership with GCI SchoolAccess, LKSD implemented the state’s largest distance education program through video conferencing. How does it work? Each student has direct access to the teaching studio in Bethel and other schools within the district so that regardless of location, students receive instruction from highly qualified teachers in math, science, Alaska native languages and more. This has the ability to transform lives by giving all students equal opportunity. It is also helpful that the schools are able to share resources across the district. Additionally, LKSD offers extensive professional development for staff members throughout the year over their distance learning network. These include interactive, live and recorded sessions that originate out of the district office teaching studios presented by content area specialist from the district. Members of the External Review team observed several students in village schools using laptop computers for distance learning and had an opportunity to experience the power of the video-conferencing component during interviews with principals, staff and community members of village schools. Video conference and online classroom features are used to create cross-district virtual classrooms for single subjects in cases where a critical student mass is not available to populate classes in village settings. Finally, LKSD has developed and implemented an effective employee recruitment and retention process that has resulted in one of the lowest turnover rates among all rural Alaska school systems. According to the district, they focus on states with effective teacher preparation programs that offer less competitive salaries and benefits. 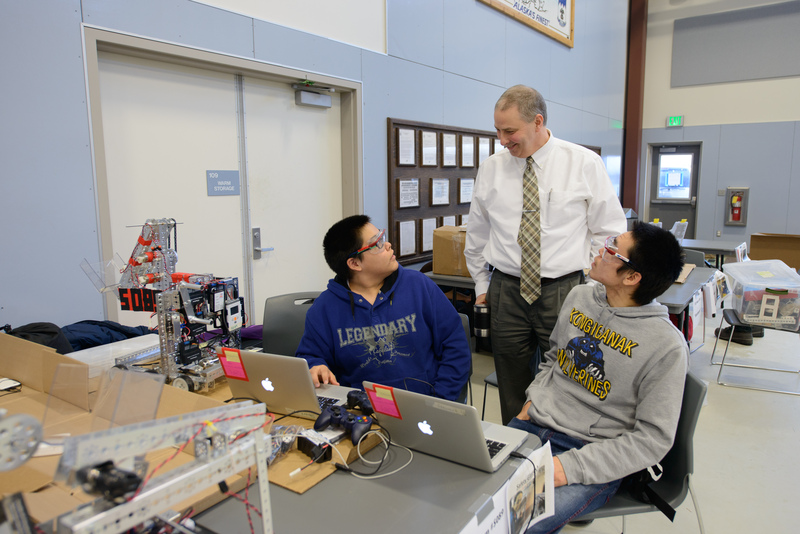 LKSD offers competitive salaries, district housing at modest rental rates, an attractive benefit package, extensive in-house professional development opportunities, which include advanced study through partnerships with post-secondary institutions such as the University of Alaska Anchorage, and the lure of living and working in Alaska. It is an incredible honor for LKSD to receive accreditation and is a testament to the hard work of the entire school district. Assistant Superintendent Dan Walker said the district wanted systems accreditation to have outside perspective on how the district was doing and prove that a district in rural Alaska the size of West Virginia could compete with other districts in the United States.